I have a 2017 Hammerhead GTS 150 Platinum with about 300 miles on it. I have a lot of experience with cars, motorcycles, ATVs and snowmobiles but I am new to the buggy world. 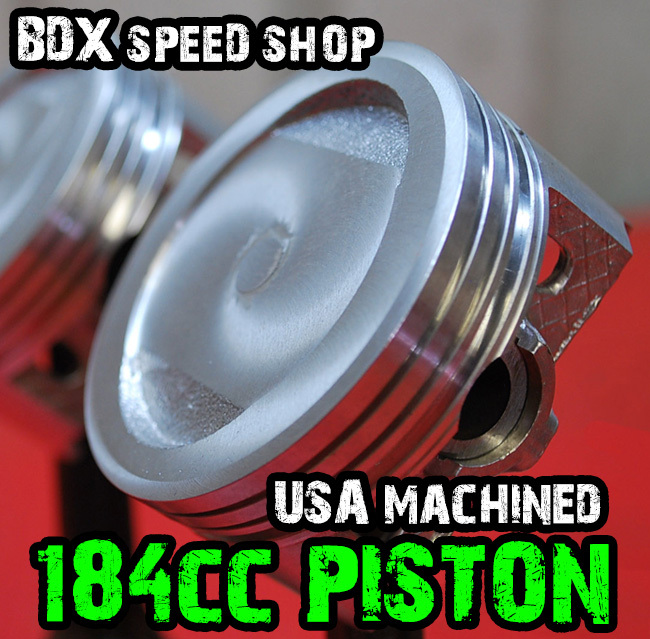 I'm deciding between getting the BDX 184CC BRUTE MUSCLE ENGINE (with UNI Air Filter) and the 175 CC GY6 BD engine. I want to make sure I buy everything I need and it all works well together. My plan is to stick with BD so I can order everything in one shot to hopefully reduce the chance of problems (or limit myself to one source of problems). Will either of these engines fit this model buggy with no fabrication / cutting / welding? Do both/either need support kit #411? The listing kindof makes it look like this is only needed for older HH models and to me 2017 isn't that old yet. Do I need a new Reverse Output Shaft? I think it says I can pull the one out of the OEM motor, not sure if I should or not. Should I upgrade the carb and ignition? If so, what is a good choice? What would be a good way to use the free parts offer (other than giving it to you )? Here's after it spent 2.5 hours on an open trailer behind my truck, getting blasted with snow, slush, salt, etc. A few days later I did my best to rinse it down with soapy warm water to get as much of the salt and dirt off as possible. There's only so much that can be done when the temperature is about 0F. Hey Timmy, welcome to the addiction. 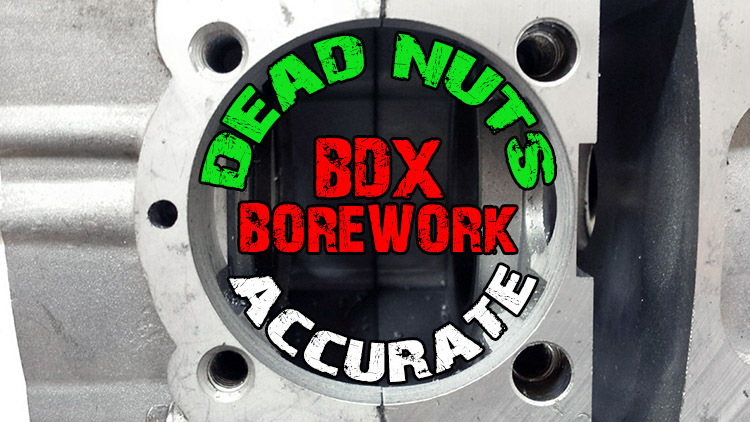 Since you have the newer internal reverse (F-N-R), I recommend using our BDX Speed Shop rebuild services. 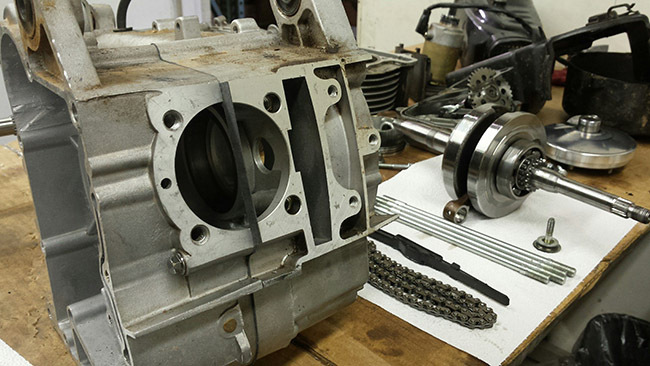 We’ll use your existing core and can rebuild yours to either our 175cc or 184cc specs. By using your core, you don’t have to worry about the support kits, reverse shafts, conversion mounts or external reverse kits, and no fabrication. We started doing this recently because the reverse gearboxes are getting harder to find. Turns out that it's a lot more convenient for folks to send in their engine, rather than dealing with all the different swap components we were working with before. 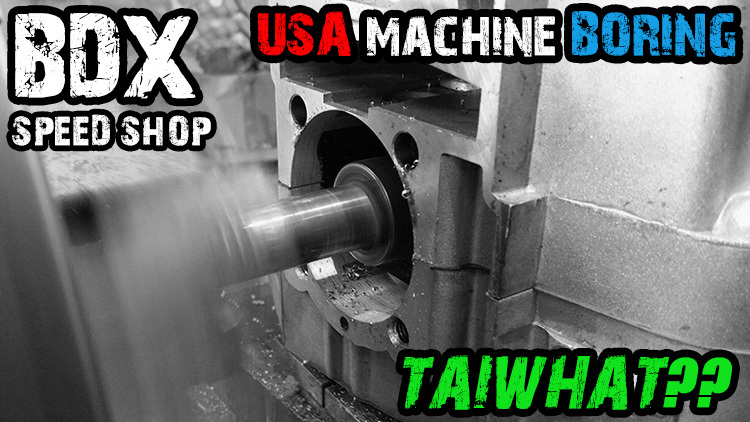 Our builds and rebuilds are priced competitively. A new bone-stock 150cc from Hammerhead is $699. Our 175cc is $649, and you get $150 of parts. Alternatively, our 184cc is $980 comes with bunch of engineering built in and an extended 1-year warranty that you don’t see anywhere else. It’s the best built GY6 under $1k. Either way, I recommend the VM26-606 carburetor. You can skip it on the 175cc, but it’s required on the 184cc. For the $150 in free parts from the 175, I usually recommend the UNI Filter first. Then grabbing as many of our different Tune Up (or performance kits) kits that you feel you’ll need to replace and/or have spares on things like CDIs, coils, rectifiers, solenoids, etc. Our straight-through S1 Exhaust Kit is a major booster to either the 175 or 184, but it isn’t eligible to be included with the free promo parts. Thanks for the detailed and quick reply. The stock engine's performance, even with a full tune-up including valve adjustment, spark plug, fuel filter, air filter, new gas, etc, is not quite going to cut it. How do these three engines that you build compare in terms of performance and reliability? I've never shipped an engine before, even one as small as this. What type of container do you recommend to make sure the engine arrives to you safely? It only has 300 miles on it so it's still a baby.